ROLLON Corporation is a leading international manufacturer of linear bearings and actuators designed to meet the requirements of design engineers involved in machine design applications across all industries including plant assembly, packaging design, transportation, manufacturing, and medical device development. ROLLON Corporation's family of linear motion products includes its flagship Compact Rail which is a durable, precision, linear bearing system that is easy and inexpensive to mount to all surfaces – even non-machined. 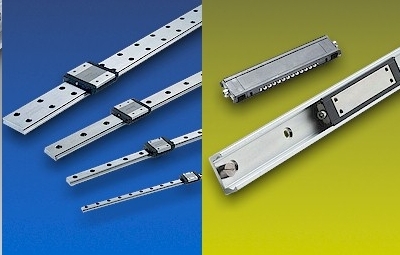 Other linear motion solutions include the Telescopic Rail which is a linear slider that acts like an industrial drawer slide because it telescopes beyond its mounting structure. ROLLON's X-Rail is ideal for applications where wash-downs are common because it is corrosion resistant. This low-cost linear bearing system is corrosion resistant, even after scratching, and provides a simple and cost effective linear bearing for applications where good load capacity and corrosion resistance are most important. As well its more traditional linear motion solutions, ROLLON Corporation has designed Curviline to provide an economical and versatile solution for applications with non-linear trajectories. ROLLON's range of linear motion products includes its Uniline family of linear actuators which provides engineers with a complete solution based on the Compact Rail linear rail system. Uniline linear actuators are mounted in an extruded aluminum-alloy profile and are compatible with the majority of standard mounting accessories commonly found in the marketplace. No matter what your linear motion requirements, ROLLON Corporation has the answer. Contact us today about any of the following types of linear motion products: linear bearings, linear systems, linear actuators, linear slides, linear ball bearings, corrosion-resistant linear bearings, easy-to-mouth linear bearings, industrial drawer slides, linear actuators, and belt-driven linear actuators.